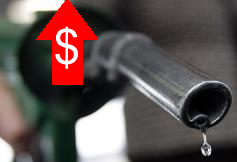 The 1Malaysia government is expected to adjust the fuel price of RON95 to RM1.90 per litre and RM1.80 per litre for diesel along with the roll out of new fuel price mechanism which will be reveal in mid of March. That is RM0.10 increase per litre respectively. The current price of RON95 fuel is at RM1.80 per litre and as for diesel it’s at RM1.70. The price of RON97 it’s at RM2.05 but however there is no decision yet on the increase of price for RON97 fuel. The Finance Ministry of 1Malaysia said that the government cannot provide more subsidy because of a spike in global crude oil price. Which is right now, as i write this article it’s USD 80.18 per barrel. The government believe that increase of RM0.10 it’s acceptable to all automotive users.